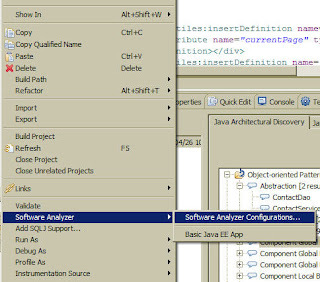 Rational Software Architect has a much underutilized feature called Software Analyzer built into the product. It is separately available as its own product. 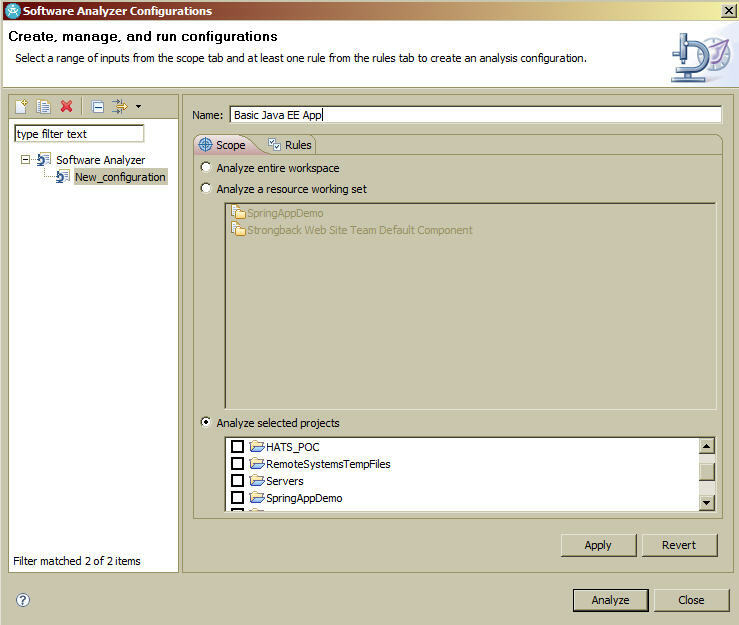 It allows the developer/architect to scan and identify build patterns and anti-patterns in a workspace, working set, or specific project in the developer workspace. These are very helpful to identify potential performance issues. 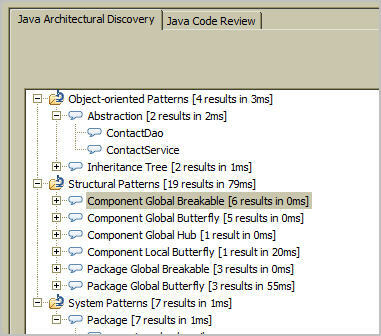 I ran one against a project I'm working on a found some issues that although are not actual programming errors (meaning, the project will compile and deploy just fine), there are some development anti-patterns I either ignored or unintentionally created. 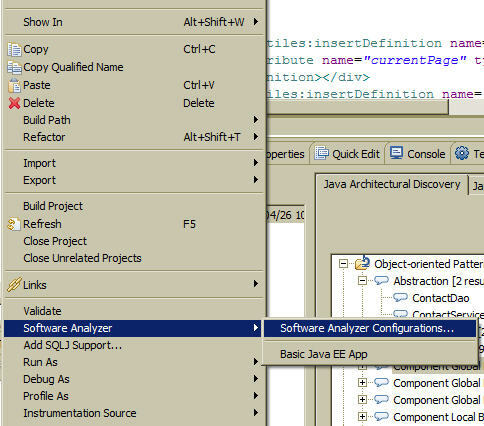 To run a discovery, first click on your project while in then Navigator View, or Enterprise Projects view and select "Software Analyzer", then "Software Analyzer Configurations". 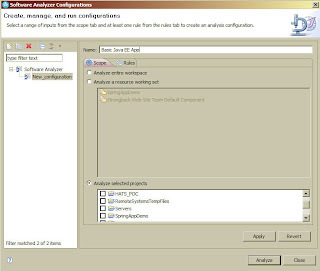 Be sure and name your analyzer profile first. Then, select a scope. The scope means which projects or working sets you wish to scan. I don't recommend you scan your entire workspace, unless you only have a couple of projects. You certainly won't be able to address all the issues at once if you scan say all 10 projects in your workspace. A single project is ideal. Next, create select a rule set. 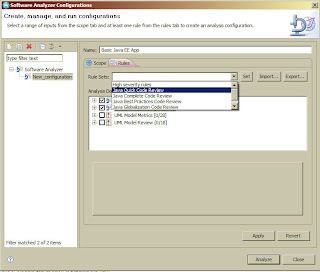 There are several pre-defined analyzer rule sets available. There is a security rule set available, but please take these with a grain of salt. Don't expect them to provide all the security recommendations needed (AppScan source edition from Ounce labs is a good product for that). is a great reference book for Java patterns and understanding some of the more esoteric ones. Using the string concatenation operator repeatedly to concatenate n strings requires time quadratic in n.